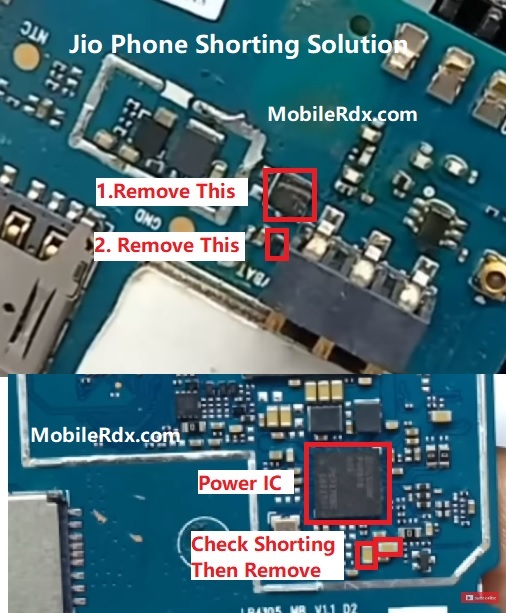 If your Jio mobile phone is short, it can have various problems like it may not power on (dead), it may overheat (although it is normal in some models! ), its battery may drain and discharge very fast, it may hang and freeze frequently, it may restart sometimes, etc. It is called short-circuit. Before removing shorting you should know whether your handset’s circuit board is short or not. Learn how to check shorting in mobile phones. The most common reason is phone drenched or fallen in water. Sparks or smoke coming out of the handset due to any reason. To repair a short in Jio phones, you will have to first remove its shorting to fix it. You have to follow the procedure to remove it especially in dead handsets. If mobile fully shorted at the charger or overvoltage. First to do with this problem remove pa, please. This Solution is tested and I hope you will be satisfied by this short article about fully shorted china mobiles.